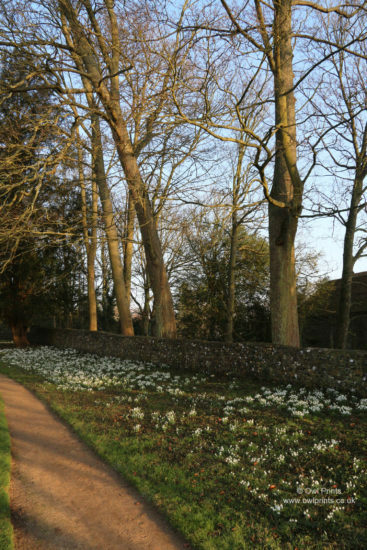 In early February 2017 I visited Benington Lordship in Hertfordshire to see the snowdrops in all their beauty. 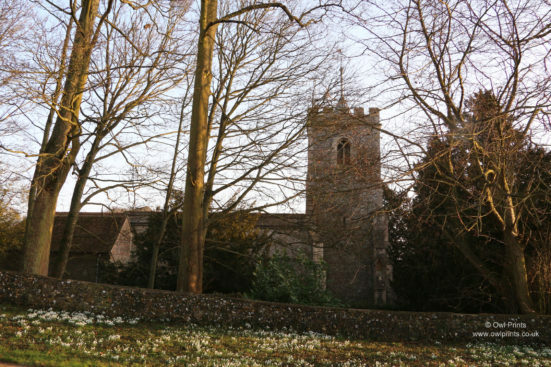 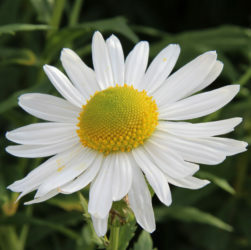 Benington Lordship. 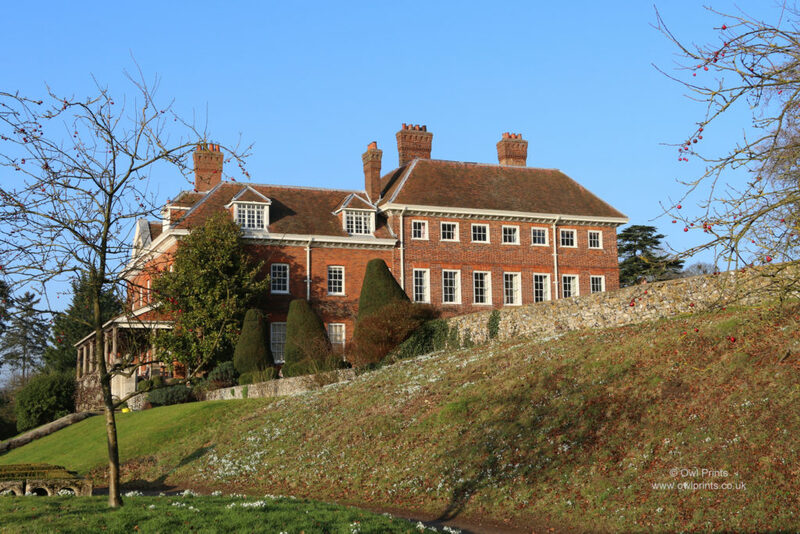 The Manor House. 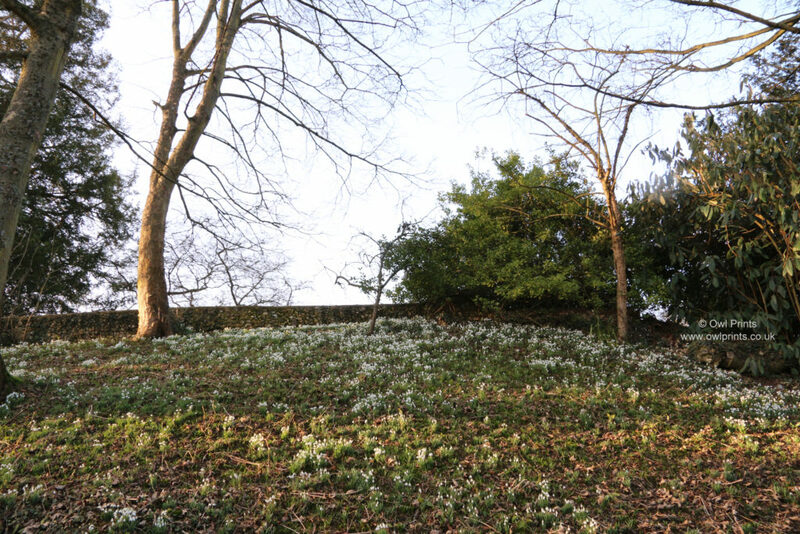 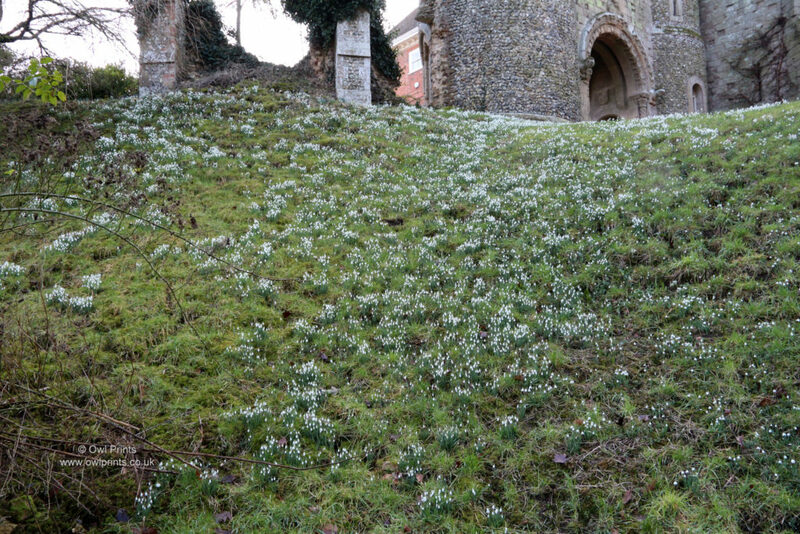 Snowdrops and winter aconites flowering in the grass beside the footpath leading to the Norman folly. 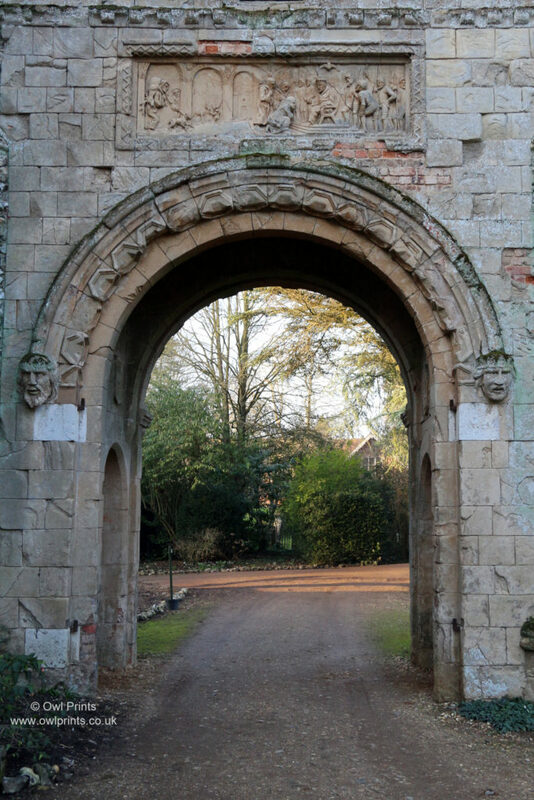 Benington Lordship. 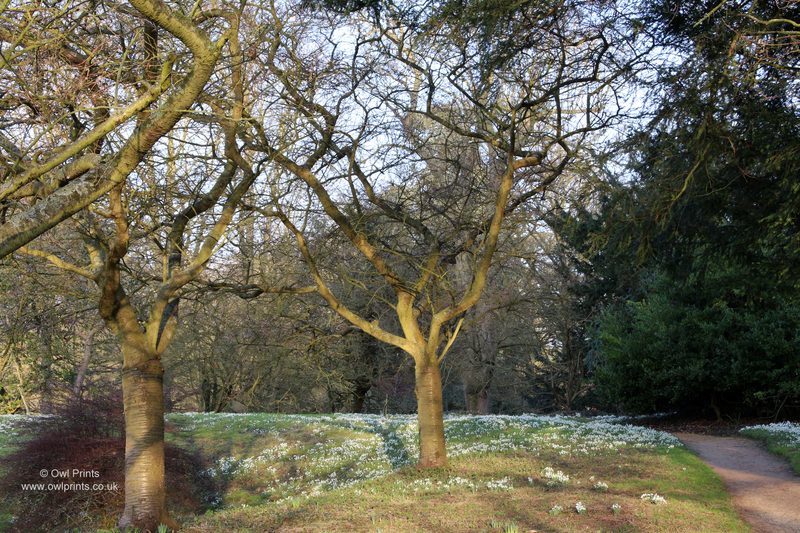 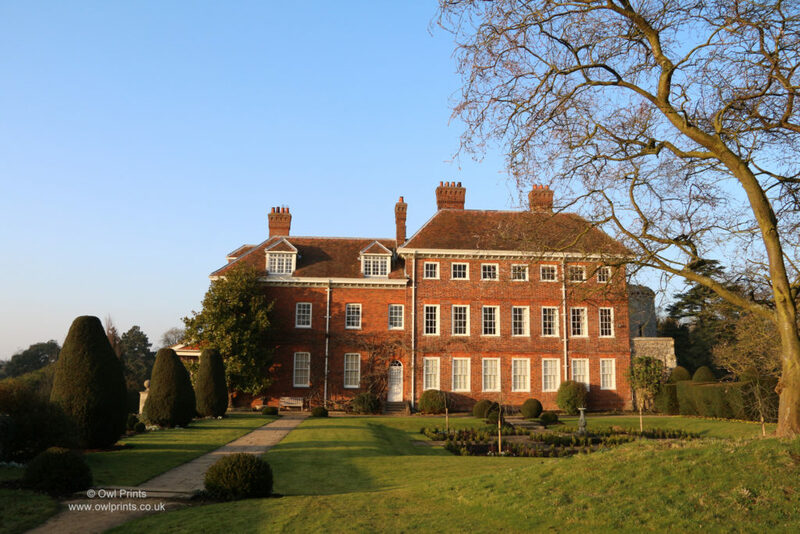 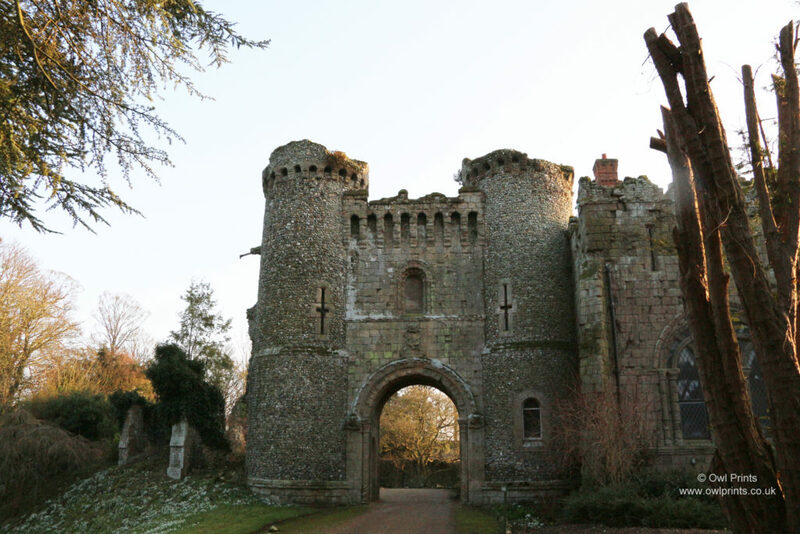 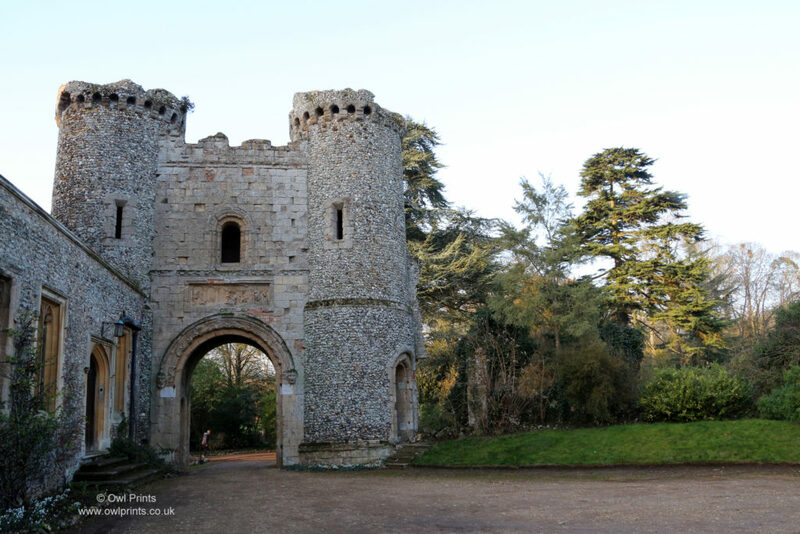 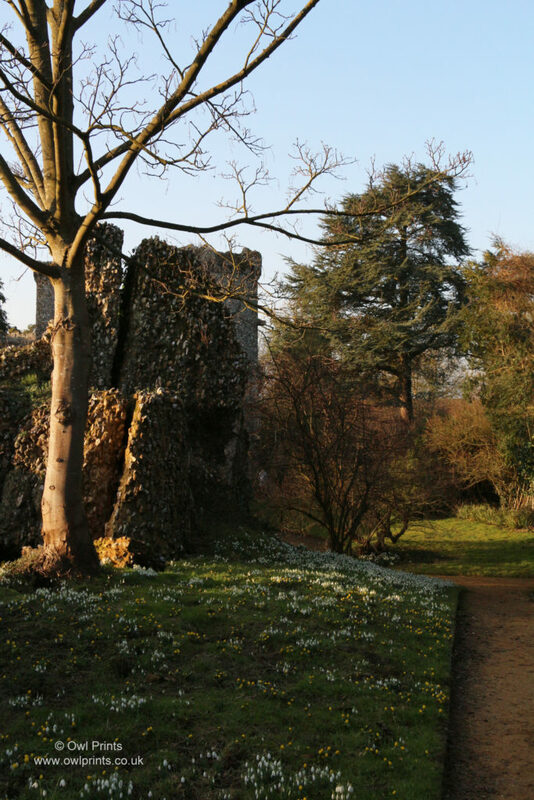 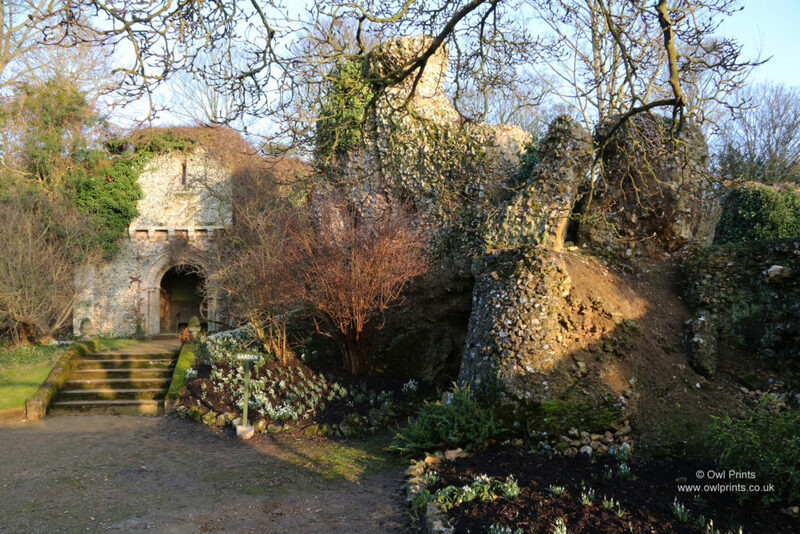 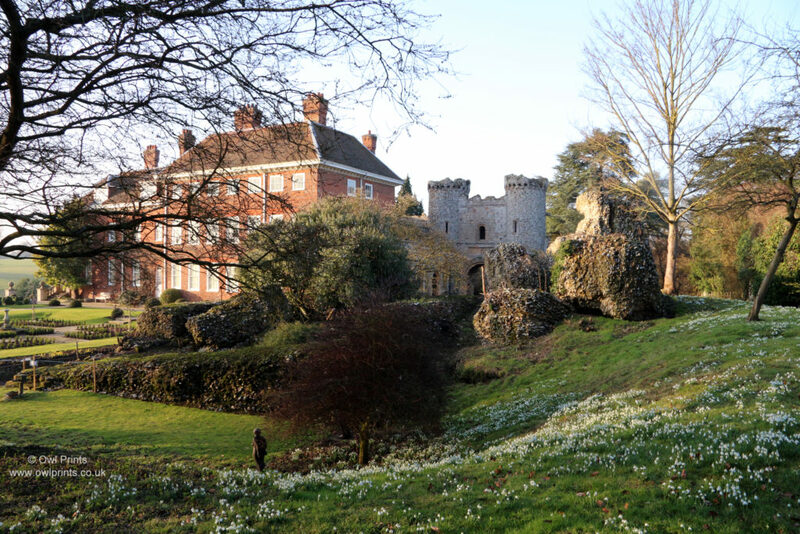 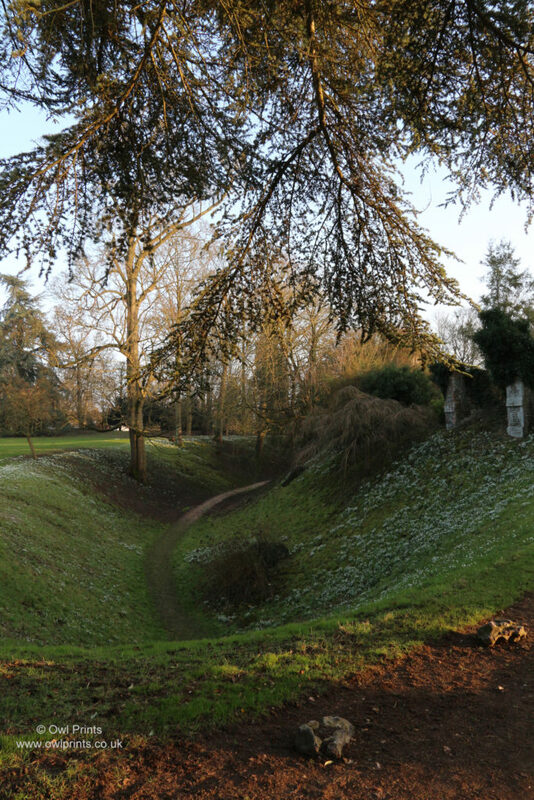 The Manor House and Norman folly, with sheets of snowdrops in the foreground looking glorious in late afternoon sunshine. 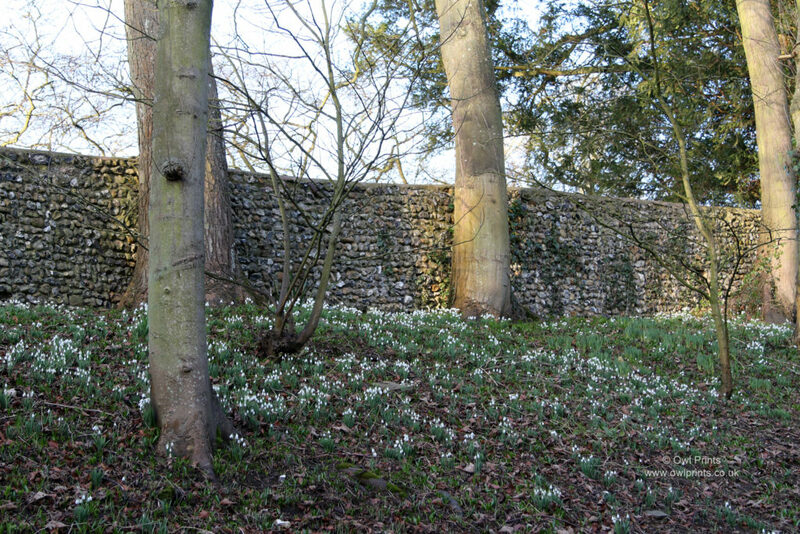 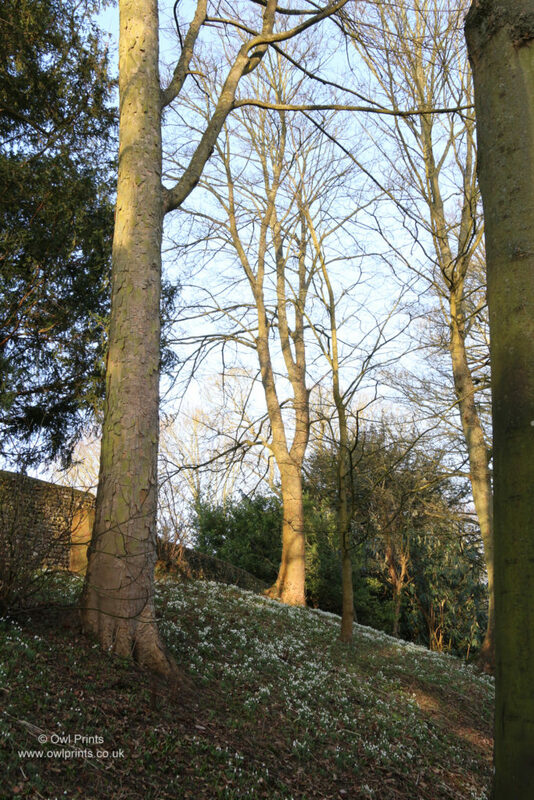 Snowdrops beside the footpath above the moat. 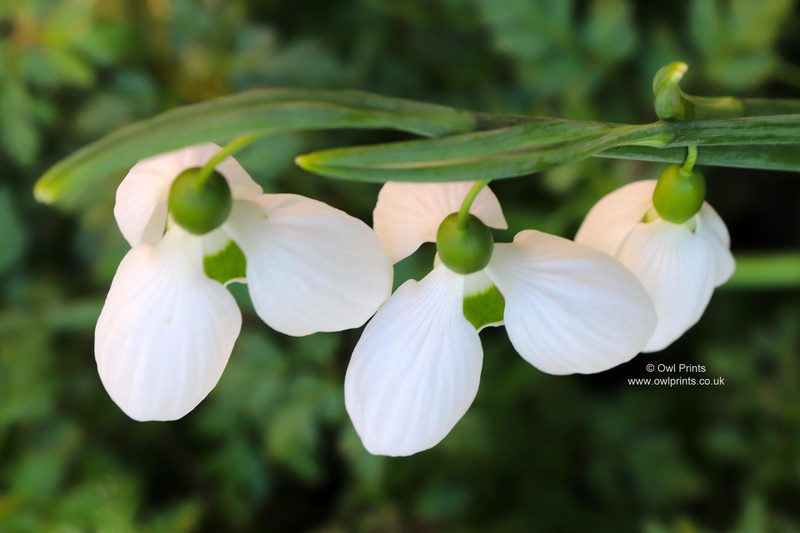 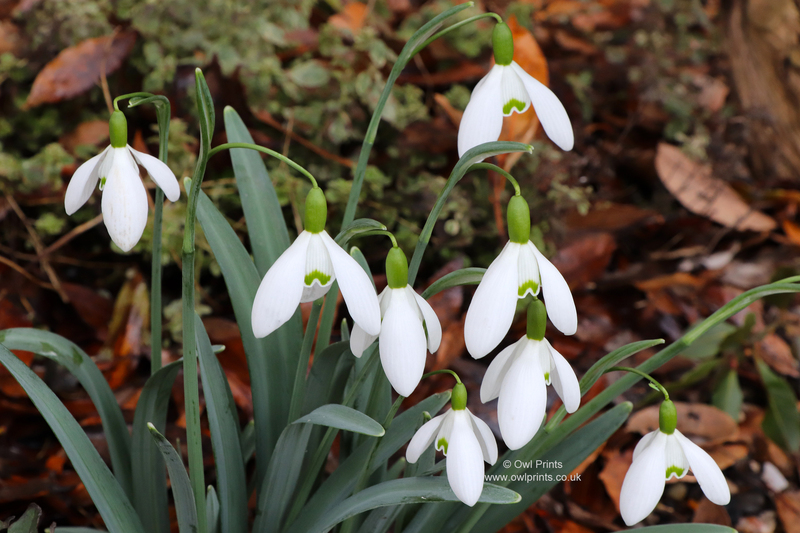 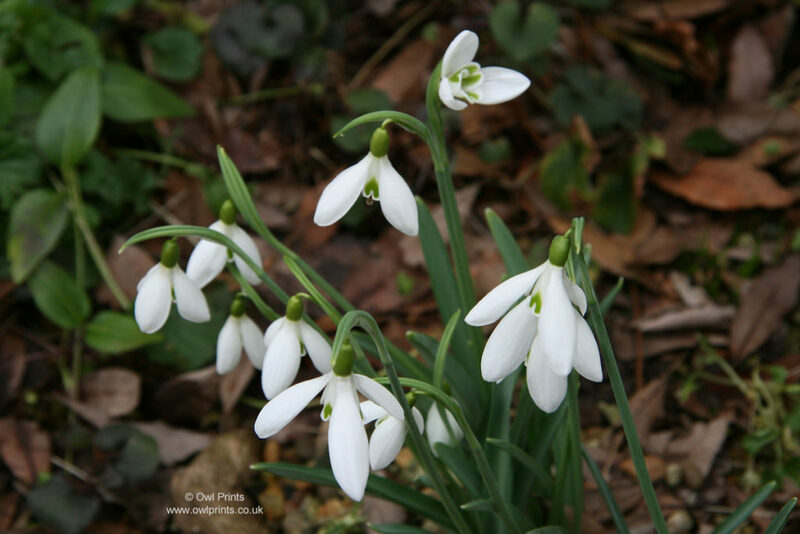 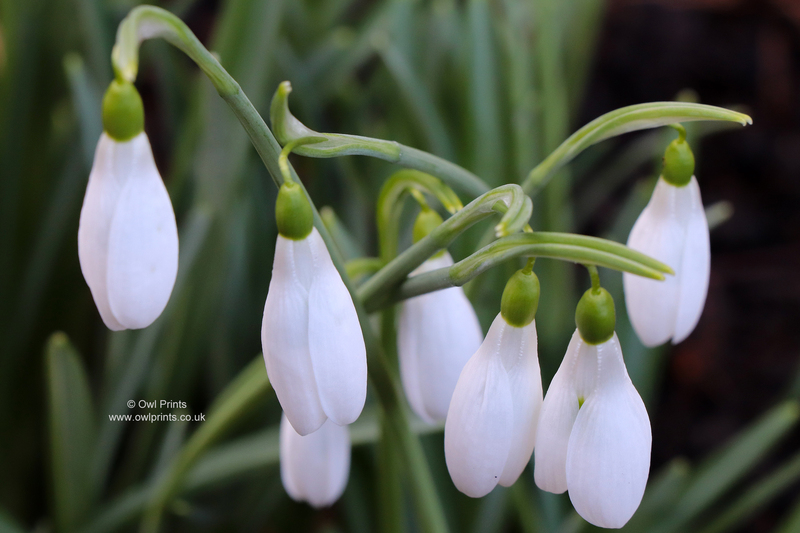 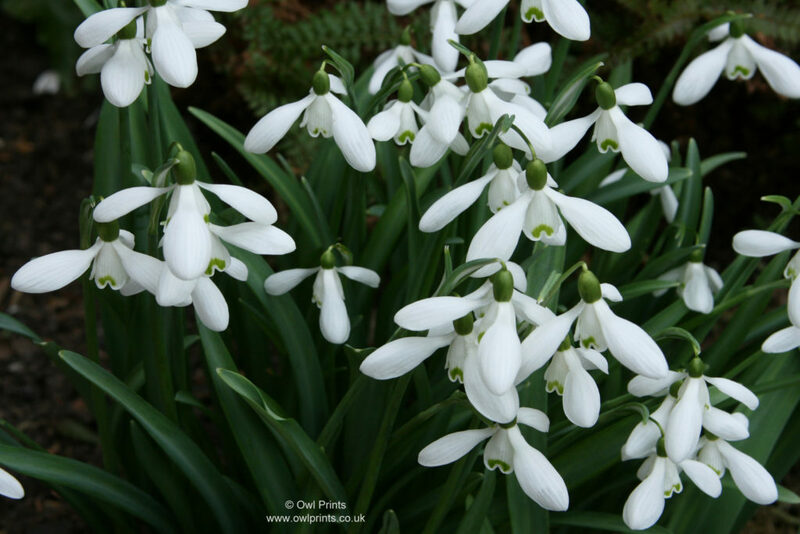 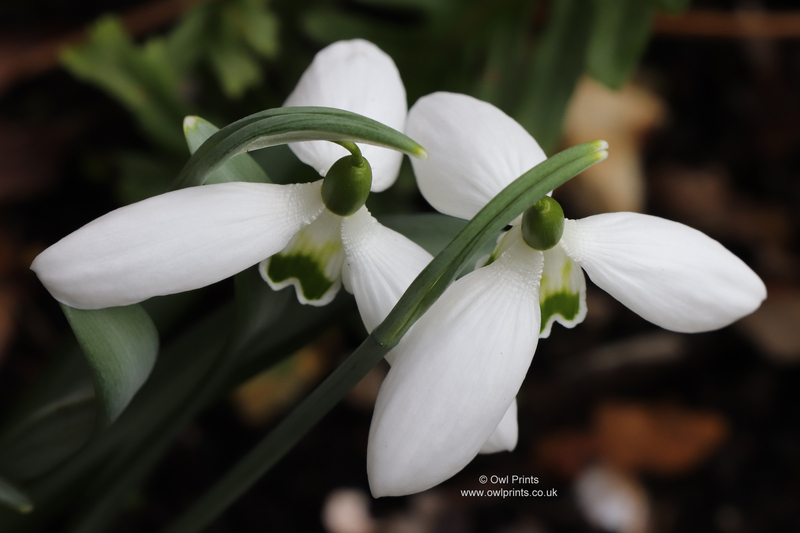 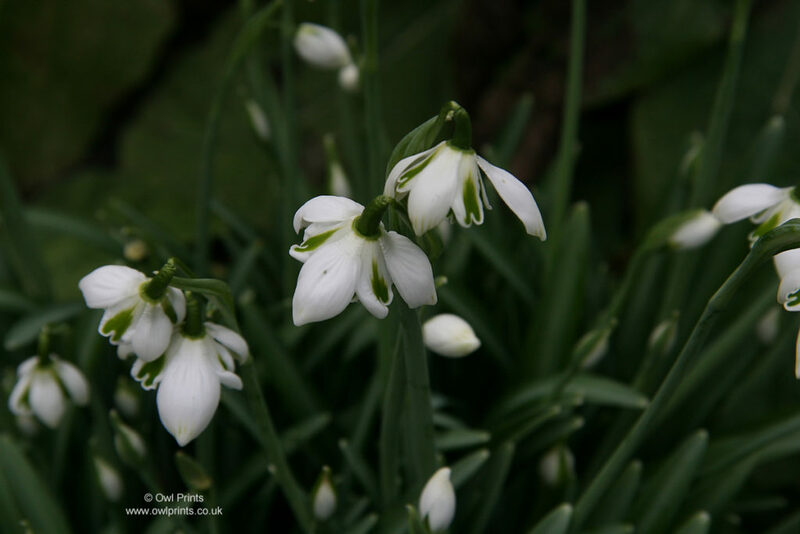 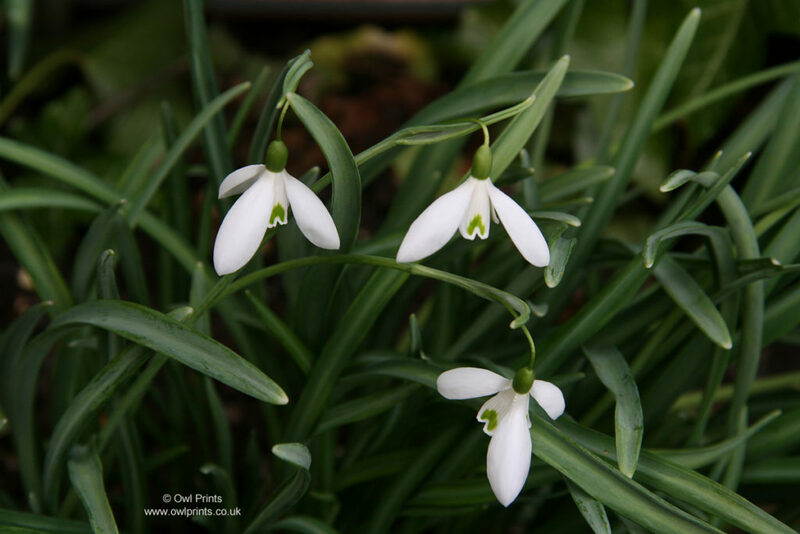 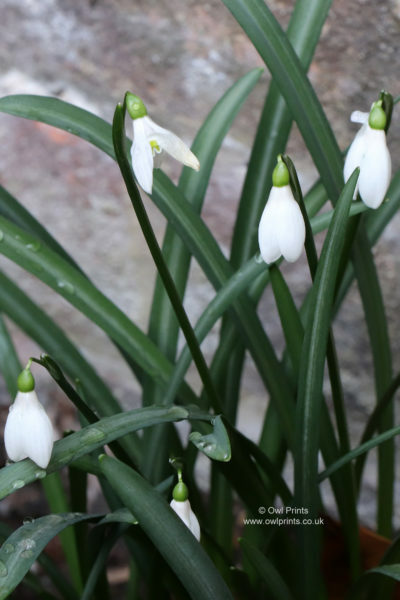 Over the years I have built up a small collection of snowdrops. 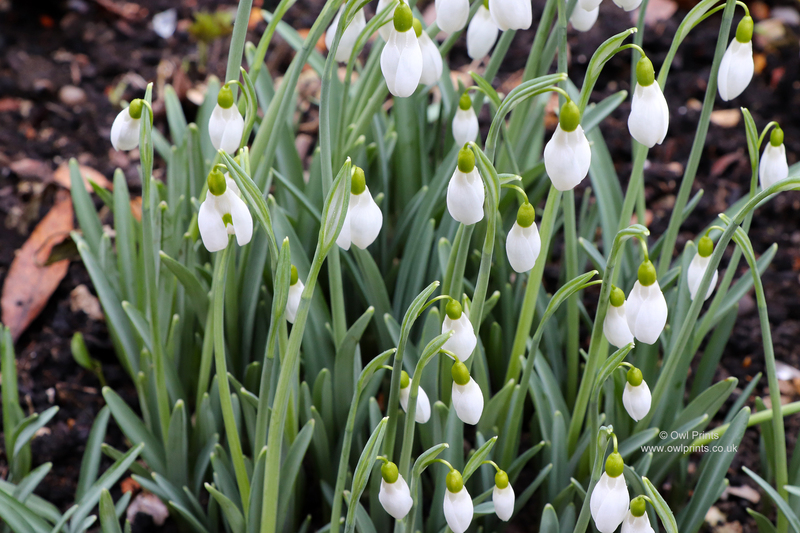 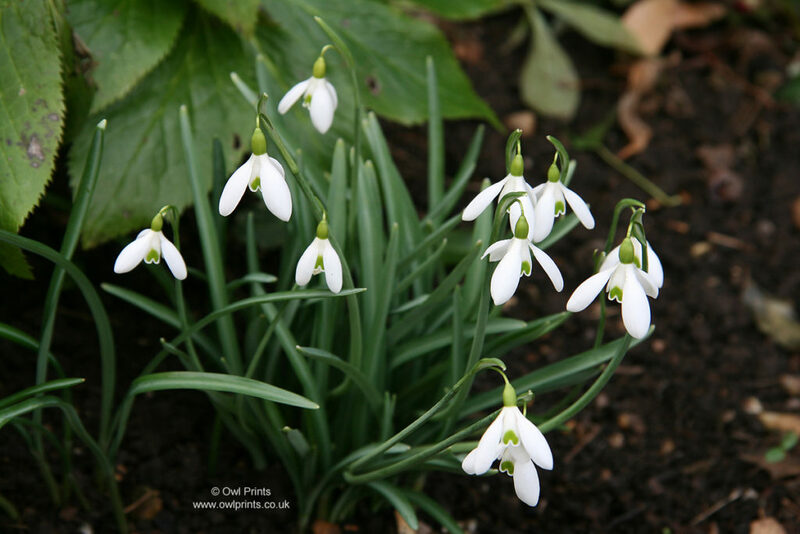 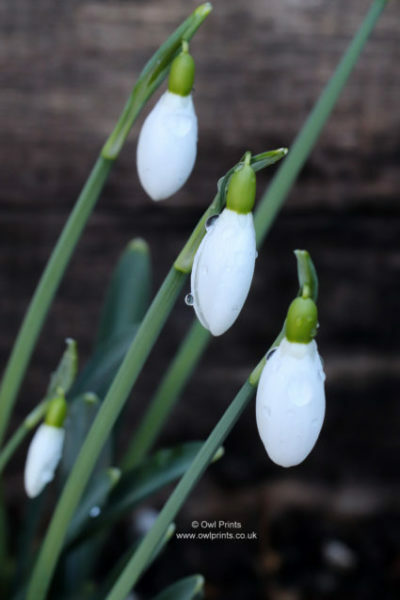 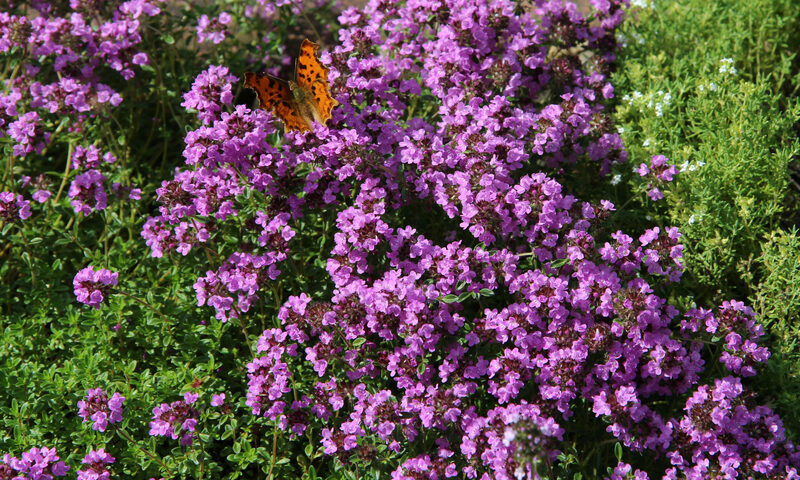 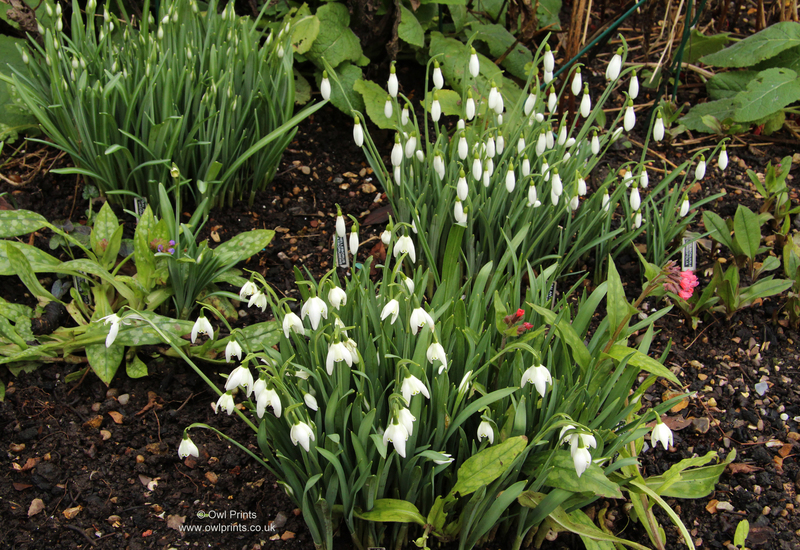 I only buy single bulbs of the lower priced ones and after a few years they bulk up into good sized clumps and are a welcome sight in the garden for many weeks in the cold days of winter. 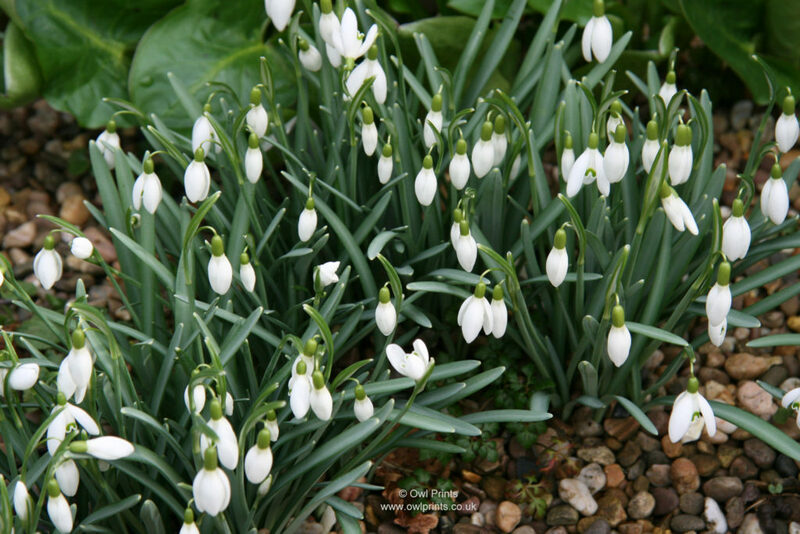 Galanthus and Pulmonaria in the Long Border. 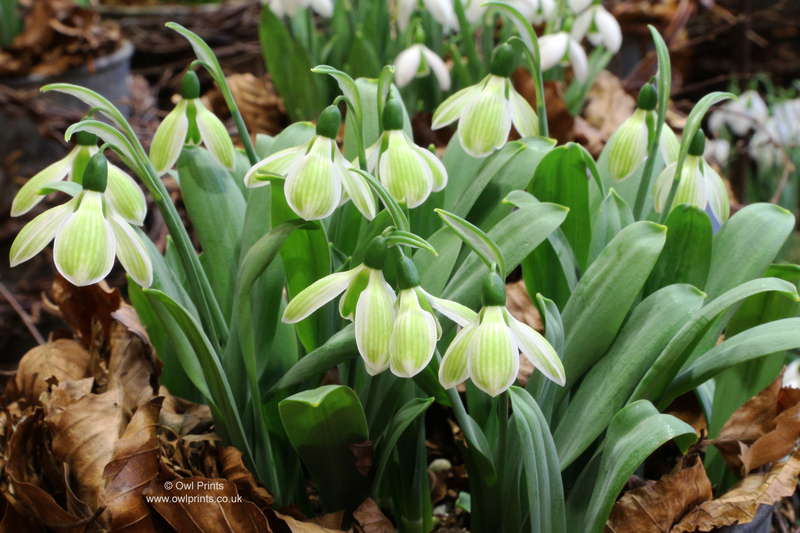 Galanthus ‘Lady Beatrix Stanley and Pulmonaria ‘Cleeton Red’ [foreground], Pulmonaria ‘Lewis Palmer’ [left], Galanthus ‘Jacquenetta’ [top left], Galanthus ‘Silverwells’ [centre] and Pulmonaria longifolia [right]. 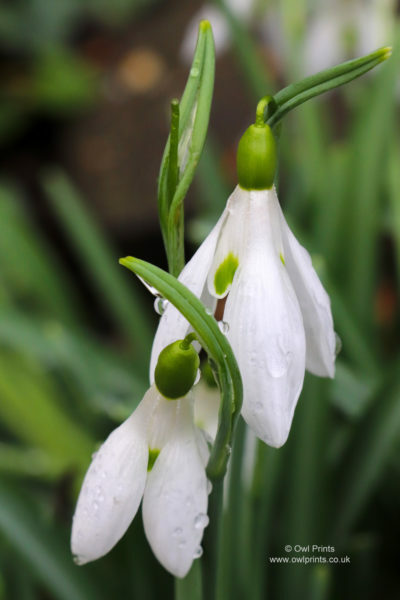 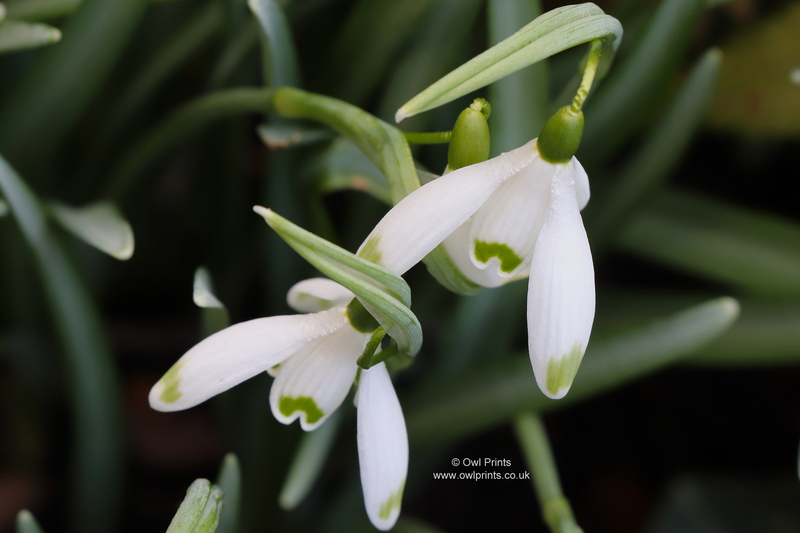 Celebration of Snowdrops. 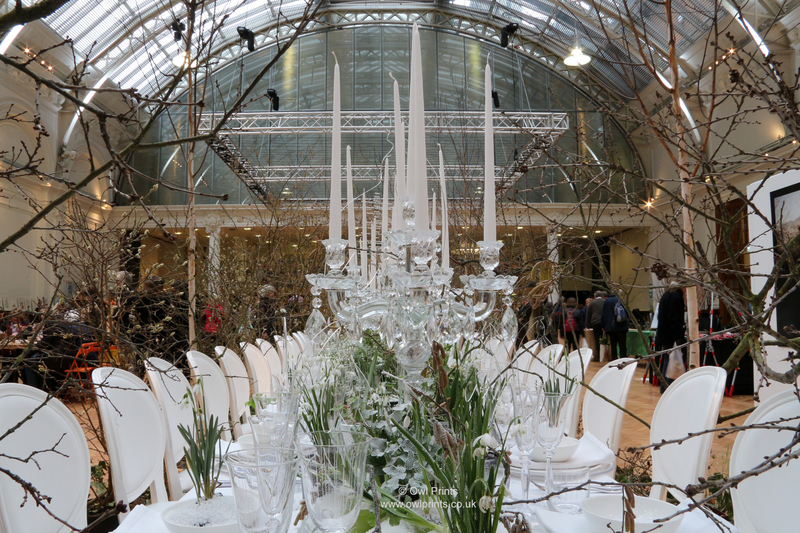 Lindley Hall, RHS London Flower Show 2018. 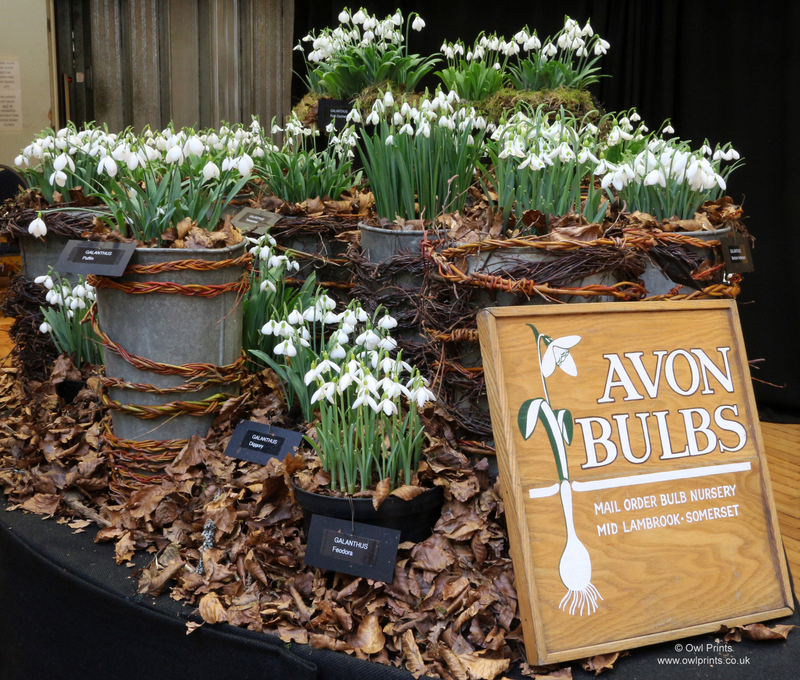 Galanthus ‘Rosemary Burnham’ on Avon Bulbs display at RHS London show, February 2018. 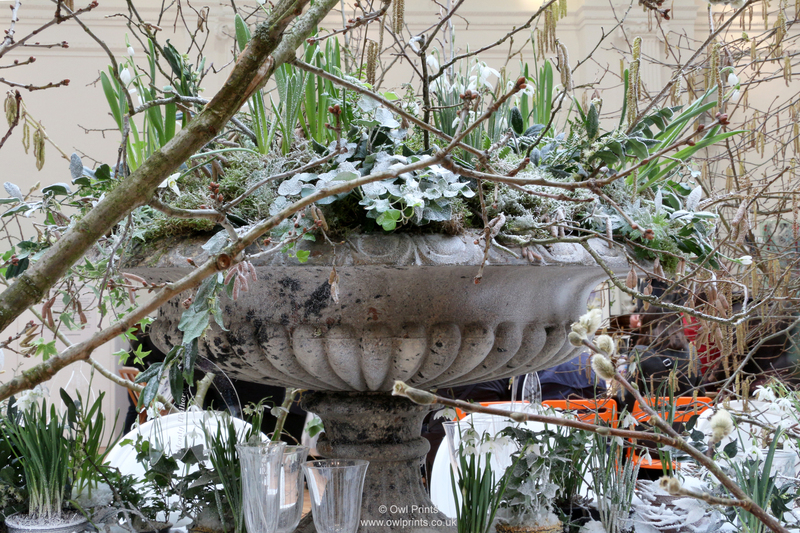 Lindley Hall, RHS London Flower Show 2018. 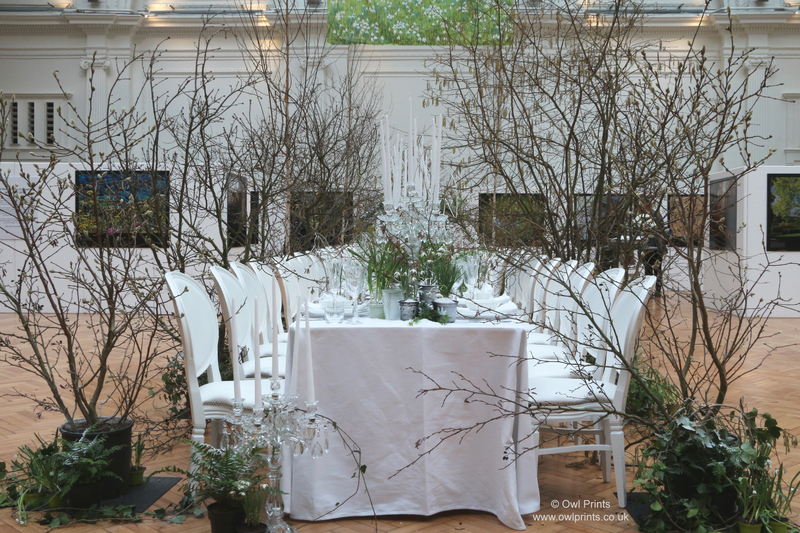 This installation from RHS Floral Artist in Residence 2018, Zita Elze, celebrates the natural transition from winter into spring, veiled in the last soft snowfall of the passing season. 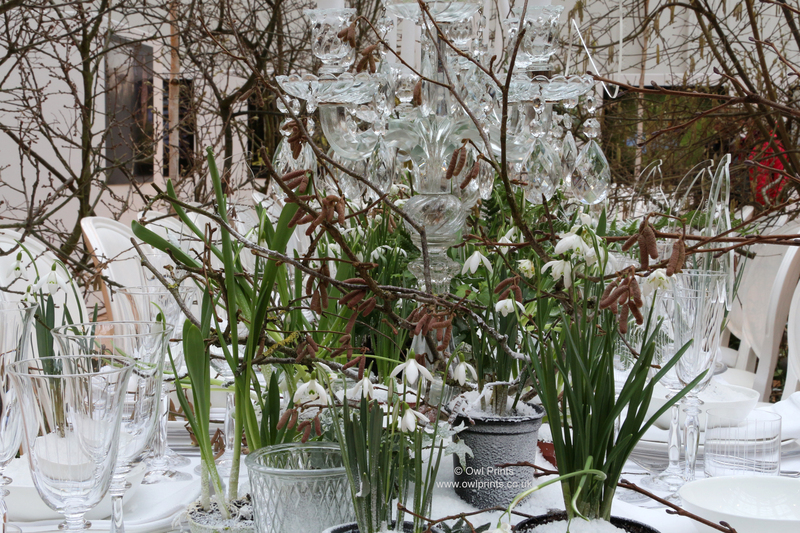 Among the trees and surrounded by thousands of fresh Snowdrops a banqueting table awaits, dressed in white and sparkling with clear glass and the dainty bell shaped blossoms of yet more Snowdrops, this poetic vignette is designed to transport you into a world where nature shines in pure glory of a fresh new year. 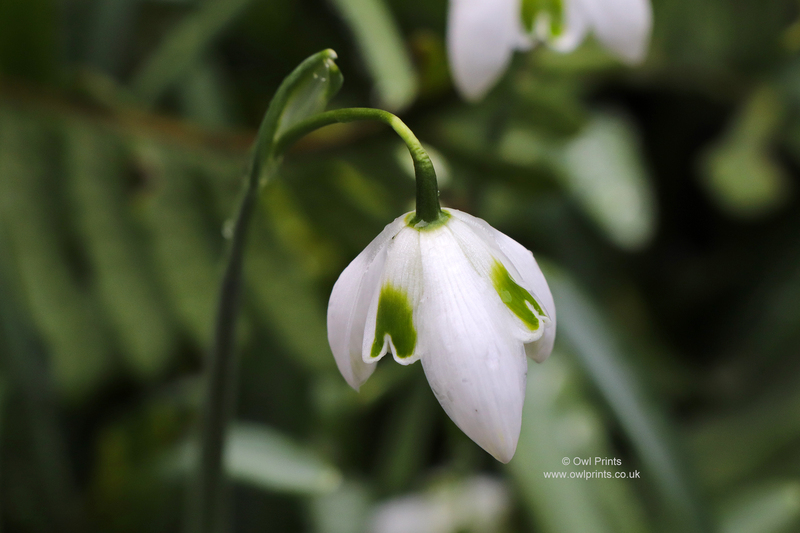 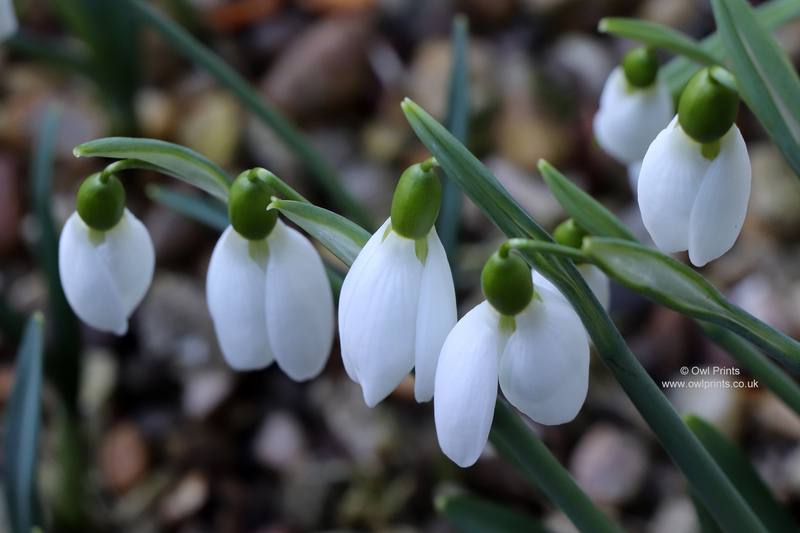 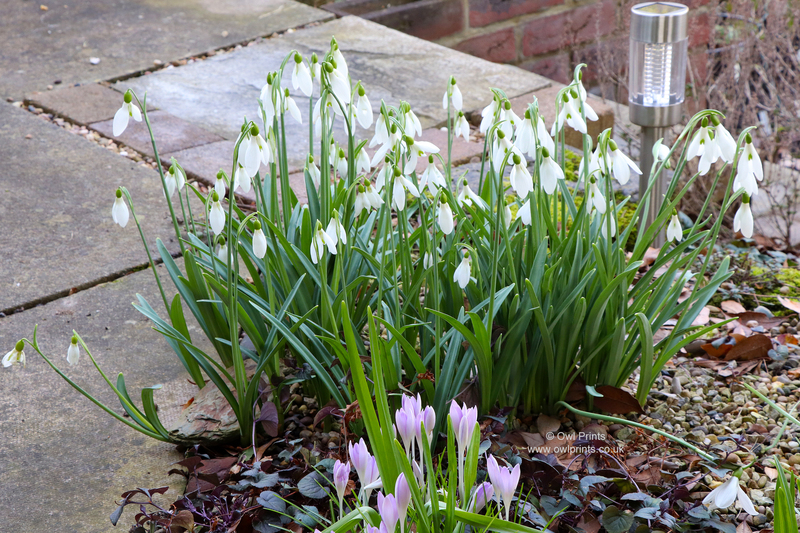 Galanthus ‘Atkinsii’ and Crocus tommasinianus. 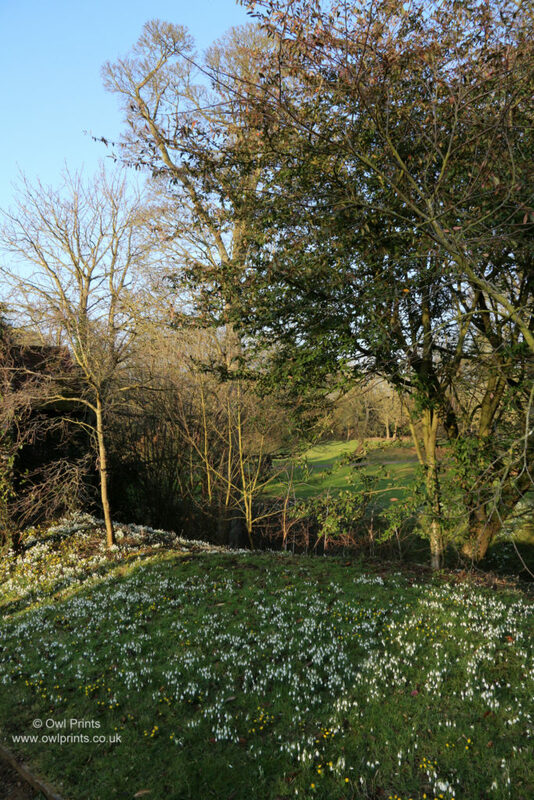 The view from my kitchen window.